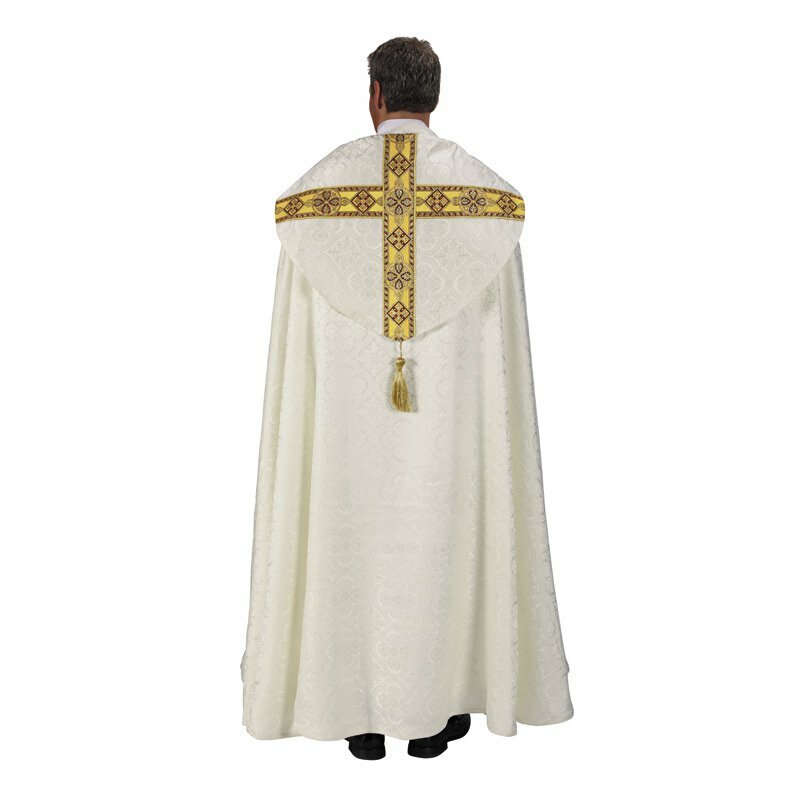 The Avignon Collection is inspired by an antique chasuble found in Avignon, France, a city that holds a storied history in the Catholic Church. Beautifully made with a floral damask design and gold metallic jacquard banding. 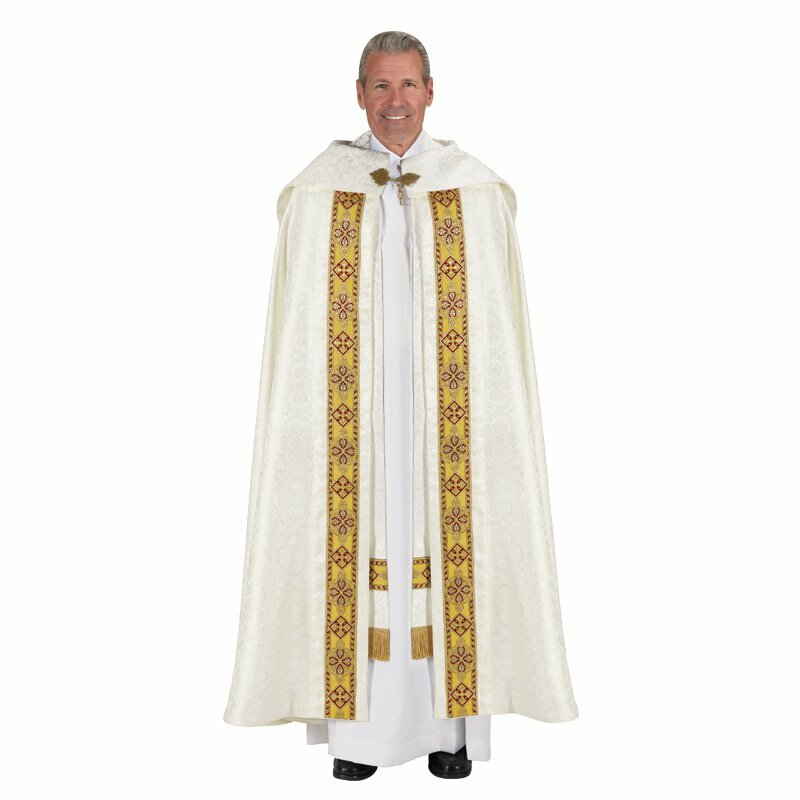 Includes inner stole with matching jacquard banding.